Forty-five individual teams and nine celebrity racers will troop to the Clark International Speedway on March 19 as the country’s biggest motorsports event kicks off for Season 3. Fueled by the best-selling vehicle in the country, the 2016 Vios Cup promises more wheel-to-wheel action. Apart from the growing number of racers, this season sees an all-new racing category and possible new venues. This year, Toyota is adding the Super Sporting Class to the existing Sporting and Promotional Classes. The Super Sporting Class is reserved for the Top 20 racers from all categories based on overall scores from previous races. This class is intended not only to even out the playing field, but highlight the continuously improving skills of the said racers. All drivers in this new category are B-License holders. 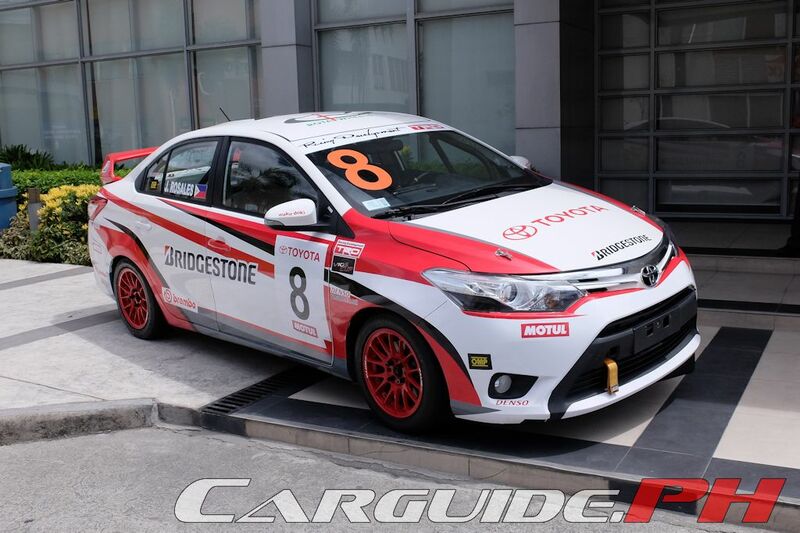 Apart from more pedal-to-the-metal racing, the Vios Cup is attracting more racers. For the Super Sporting Class, B-License racer Keith Bryan Haw joins the roster as a first-time Vios Cup participant. In addition, celebrities, some new and some returning will make up a good portion of the Promotional Class. This year, fans can expect Arci Munoz, Megan Young, and Jericho Rosales to join Derek Ramsey, Fabio Ide, Jinno Rufino, Joyce Pring, Sam YG, and Phoemela Baranda. With a goal of promoting motorsports at the grassroots level, this year, a new set of rules have been added to improve safety protocols on the race track. Furthermore, a new prize structure will be implemented. Apart from trophies for the Top Three finishers in each category, the top three in the Sporting and Super Sporting Class get cash prizes as well. The cash prizes is as follows: Sporting Class (per heat), First Place – P 25,000, Second Place – P 15,000, and Third Place – P 10,000; Super Sporting Class (per heat), First Place – P 50,000, Second Place – P 35,000, and Third Place – P 15,000. The Overall Champion for the Sporting Class gets P 150,000 with the second and third places getting P 100,000 and P 50,000 respectively. Meanwhile, the Super Sporting Class Champion gets a brand-new Vios 1.5 G M/T while the second and third getting P 200,000 and P 100,000 respectively. “This March 19, we are all set to kick-off the first race this year; the fun shall continue at the Clark International Speedway in Pampanga. With new celebrities and some familiar faces that will make up the third season, to a possible new venue outside Luzon, and more competitive drivers, I am confident that this racing program will further boost the popularity of local motorsports,” says Mr. Satoru Suzuki, President of Toyota Motor Philippines. The 2016 Vios Cup is done in partnership with Bridgestone and Rota and is supported by Motul, TRD, Brembo, Denso, AVT, OMP, and Tuason Racing.